The festive season was marked with a goodly number of Evenwood soldiers paying a visit to their homes on a few days leave. Among them were the two sons of Mr. and Mrs. William Britton, Fred and Edgar, from France. Fred was a military medallist and the newspaper remarked that in neighbouring villages, the occasion was taken to make such persons some public recognition. Evenwood failed to rise to the occasion but the usual round of successful concerts was held, by members of the Infants’ New School in aid of comforts for local soldiers and sailors and the local Ladies Sewing Party held a grand concert in the Empire Picture Hall for the same cause. H. Lowson and Miss Lowson of Tower Lodge, Morley sent each man from Morley and Windmill serving the colours, whether home or abroad, a handsome parcel as a Christmas box. The news now took the invariable form of continuous flow of personal names of leaves, of decorations, of wounds and of deaths. In January, the MM was awarded to J.H. Nutter, sergeant in the RAMC for gallantry and devotion to duty and to T.W Simpson of the Oaks, a former miner at Randolph and a sergeant in the DLI. 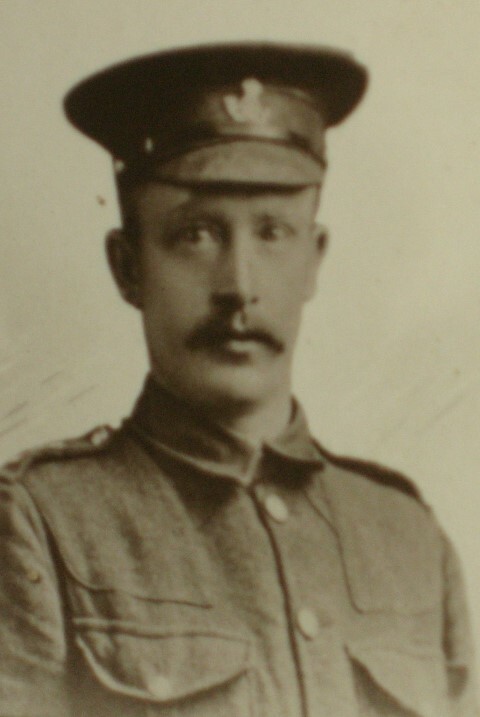 Thomas Dunn, son of Mr. and Mrs. William Dunn of Randolph Terrace, a private in the DLI died of wounds in hospital in France. They had 3 other sons serving with the colours. The local correspondent recorded no fewer than 144 men from Gordon House Colliery had gone to war, of whom a dozen would never be seen again. In February, A. Bainbridge of Lands Bank, a private in the 15th DLI was mentioned in dispatches for devotion to duty and in July, Dr Campbell was also mentioned in despatches. Those on leave from the front included Joseph Priestley of West View, Harry Anderson of Station Row, Tom Longstaff of Gordon Lane and Arthur Brown of Gordon Bank. In its tireless record of these comings and goings the Auckland Chronicle remarked that it was interesting to note how little and yet how much, the men had to tell about the war, little as to actual warfare and much as to the incidents arising out of the war. At Cockfield, in October, there was a formal presentation to Corporal Frank Woodward of the RFC who had won the Military Medal. He received a gold watch and chain from the townspeople and the story was told how in company with three other aeroplanes, he flew as observer on a patrol. After about two hours scouting, ten German battle planes were sighted. Nothing daunted, the Britons facing great odds, gave battle at a height of about 12,000 feet. A thrilling encounter followed. Separated from his patrol, Woodward found himself arrayed against four German planes. His second shot proved to be the undoing of number one. After that his pilot was wounded. However, they fought on, accounting for another. The other two appearing to have had enough cleared off with the local airman giving chase. His pilot, by this time, was done and being inside the German lines, Woodward took control of the machine, turned round and being then only 500 feet from the ground had to run the gauntlet of shot and shell from enemy gunners. Luckily, he escaped scatheless bringing the machine safely within allied lines. A letter of congratulation from the King was also read. More normal was the deadening recital of losses. In March, John Walling of the Oaks, a private in the DLI died in hospital in France after being seriously wounded. He left a widow and 1 child. A large congregation attended a memorial service for him in the Wesleyan Church. Wallace Featherstone, son of Mrs. Featherstone of Cox House Farm at Windmill was reported killed in action and his brother Jonathan contracted typhoid fever and died in hospital in France. The newspaper observed that Mrs. Featherstone had drunk deeply of the cup of sorrow for within the previous 10 months she had lost by death her husband, a daughter and now 2 sons. Another who died of general causes was Joseph Million of South View, a private in the DLI who died in France of pneumonia. It was only a few weeks earlier that he was home on leave and married Miss Smurthwaite of Shildon. John Friend of the Dragoons was in hospital as a result of a riding accident and Robert Simpson of the 2nd Devons was in hospital in Mesopotamia. Sergeant J.H. Nutter who had won the MM at the beginning of the year, now lost 2 brothers who were both killed on the same day by the same shell. On the home front, new restrictions were now beginning to apply. In January there was talk of a “Food Dictator” of meatless days and of war bread, of food tickets and of a levy en masse. By March rationing had been introduced. The newspapers were urging the need to invest in War Loan. By March, about £3,000 had been contributed in the locality. The call-up was now of greater numbers than four a month, even if it was not for immediate enlistment. Thus in March, the Military Medical Board passed for general service eleven men from Randolph colliery, 5 men from Railey Fell and 6 men from Carterthorne. No exceptions were allowed, nor of the church organist T.D. Bird who was called up for active service in May. During May, the Durham County Agricultural Committee decided that if farmers declined unreasonably, to employ women, their refusal would be used to deny them more male labour. Accordingly to the Secretary of the Women’s War Agricultural Committee, there were some hundreds of women available for farm work in the county but the farmers were very reluctant to take them on. Not more than half a dozen had been placed on land as land workers. In June, the King’s proclamation urged every householder to reduce consumption of bread to 75% of peace time levels, to abstain from the use of flour in puddings and not to feed horses with corn unless special permission had been obtained. In the Evenwood neighbourhood, allotment cultivation was now widespread. During this period, German submarine warfare was effectively limiting food imports. It was at this time that the Military Cross was awarded to two local officers – to temporary Second Lieutenant Haddock of the Flying Corps for reconnaissance work going out day and night to gain valuable information and to the village doctor Dr Campbell, now with the RAMC. Unfortunately the official records ceased by 1917 to specify the actual services and occasions for which these awards were made. A bright face could be put on for the casualties. On one August Saturday, Evenwood was en fete for the wounded. The occasion was the visit of 53 soldiers from Etherley Hospital and 20 from Bishop Auckland Workhouse hospital. They were entertained to tea and sports by the Ladies’ Working Party. Beside provisions for tea, over £20 was raised by a large decorated waggon containing Evenwood Pierrots with their medley band of music. After tea, 40 of the men visited Randolph Colliery. Tobacco, cigarettes and matches were freely handed round. Before leaving every man received a present of the value of 1sh 6d as a souvenir and a shilling in cash. Those wounded who were unable to leave their hospital beds received 2shs 6d each. Later in the year a similar entertainment was provided by the workmen of Randolph Colliery for the wounded of Etherley and Bishop Auckland. But August again brought losses at the rate of four a month, equal to the old enlistment rate. Sidney Rutter of Shirley Terrace was found dead at his post of duty. 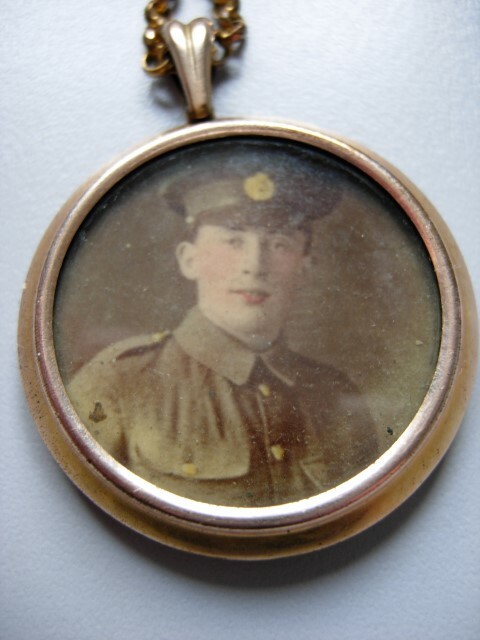 George William Cook of Raby Street a gunner was wounded. Mrs. Handley of the Poplars, Evenwood learnt that her husband J.T. Handley had been wounded and was in hospital in France. Mr and Mrs Wallace Storey of Gordon Lane heard that their son William Storey was missing. The officer who sent the information from France spoke highly of his character and abilities as a soldier. In December, the news came that he was a prisoner in Germany. Before the end of the year, came the news of two more awards. J. Jackson, a private in the Coldstream Guards, husband of Mrs Jackson of Darlington and late of Evenwood, was awarded the MM and so was John W. Walton, a sergeant in the DLI, for distinguished service in France. He worked at Randolph colliery prior to enlistment and resided at the Pottery, Evenwood Gate. He was subsequently transferred to the Northumberland Fusiliers and his wife and family now resided and the Oaks.